The University of Sydney has announced a partnership with NAB RunWest, the first major running festival and community event in Western Sydney that will take place on Sunday 31 March, 2019. The University’s presence at Westmead began during the establishment of Westmead Hospital and has grown to include 1600 students, staff based across three major medical research institutes and close partnerships with health and industry stakeholders. Multidisciplinary initiatives of the University such as the Charles Perkins Centre (CPC) have local hubs at Westmead to partner with local expertise and provide real-world outcomes for the people of Western Sydney. The University’s partnership with NAB RunWest will bring together academic research and community engagement, with the CPC to conduct an innovative research project to explore the impact of the inaugural event on physical activity, health and wellbeing. Led by Dr Lindsey Reece of the CPC, in conjunction with the NSW Office of Sport and Parkrun, this collaborative research initiative with Athletics Australia and NAB RunWest will collect insights from participants to identify behavioural changes and physical health benefits that result from participation in this unique community event. “Sport can play a powerful role in helping people become active in a fun, enjoyable way. 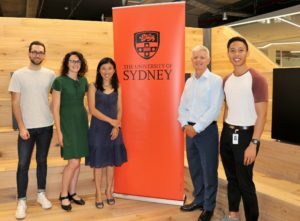 This opportunity to lead the research and evaluation of NAB RunWest through SPRINTER (the research partnership between the University of Sydney and the NSW Office of Sport) will help us learn more about the role major sporting events play in positively influencing the health and wellbeing of people who take part,” said Dr Reece. “We are excited to welcome the University of Sydney as a partner of NAB RunWest and look forward to witnessing the academic and research outcomes of this partnership.  We believe this project will help us lay the foundations for NAB RunWest to become a lasting legacy event for the Western Sydney community,” Darren Gocher, CEO of Athletics Australia, said. NAB RunWest will feature a 12km run and a 4km Family Fun Run and Walk through iconic Western Sydney locations, including the new Sydney Zoo, Sydney Motorsport Park, and Western Sydney Parklands, with runners and walkers to cross the finish line at West HQ. A Finish Line Festival will celebrate Western Sydney’s diversity, including live music, local sporting heroes, and food trucks. Funds raised through the event will go towards Western Sydney projects and charities including CanToo, Better Foundation, Neuroblastoma Australia, Ronald McDonald House, The Children’s Hospital at Westmead, The John Maclean Foundation and PCYC NSW. The University of Sydney is proud to contribute to these community initiatives through the University of Sydney Community Challenge, which incentivises school groups and sporting clubs to participate in RunWest and have a percentage of their group’s entry fees returned to invest into community and club initiatives.